"I am most definitely a child of the 70's. I love the clothing styles from then, and the quilts from that time frame were so charming! Thick, lofty(polyester) batting and acrylic ties were the thing. 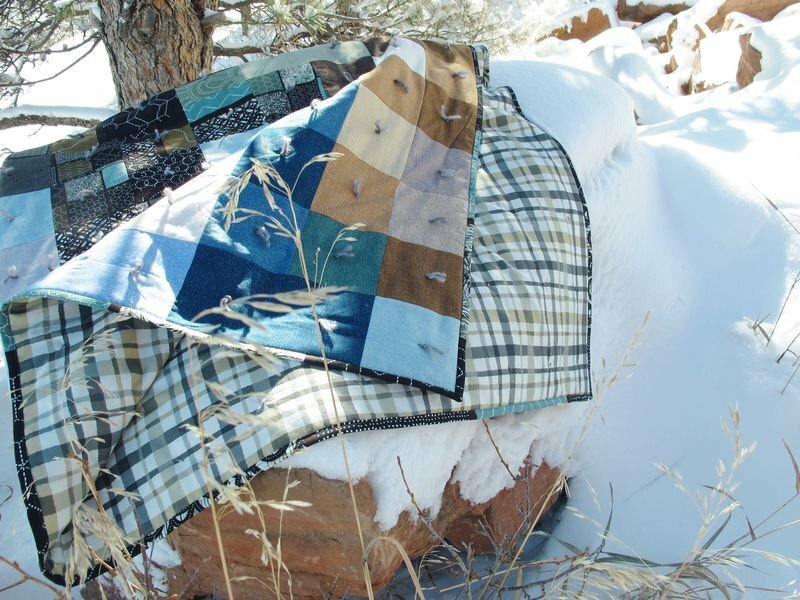 Or if the quilt wasn't tied, it was loosely quilted so the quilt was still mega puffy. And heck, even the quilt top might have been polyester or a poly blend. Do you remember those double knit polys?! I have a pillow made from some squares of it my dad sent me several years ago! "For the Manly quilt, I am paying tribute to the 70's, giving it a modern day twist, using natural fibre. The batting is a lofty wool, and the ties are spun wool. 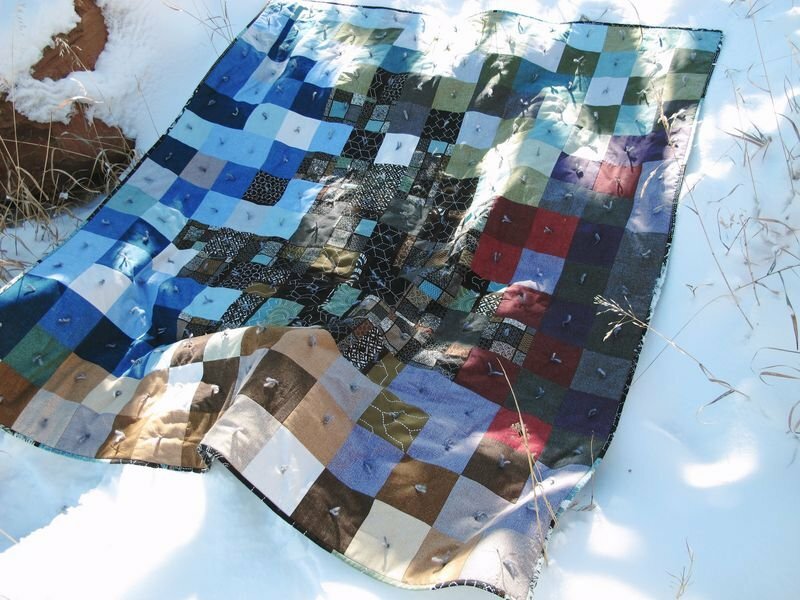 I used fabric from three different Benartex lines."